Every new Mercedes-Benz models comes with complimentary Roadside Assistance. If and when you need help, it’s instantly on the way. This is just one of many perks offered to the elite group of people driving Mercedes-Benz models. Plus, it’s a higher-caliber of Roadside Assistance than you will find elsewhere. Accessibility – Roadside Assistance is available regardless of your location. And when you need to connect with a provider, simply dial a number or hit a button in a dedicated smartphone app. Security – While drivers hope to avoid troubles, knowing that help available to you anywhere at any time provides peace of mind and makes it easier to get behind the wheel with confidence during every drive. You can count on the technicians at our Phoenix, AZ dealership to take care of your Mercedes-Benz. We have a state-of-the-art service department, as well as rotating service specials and routine Service A and B maintenance. 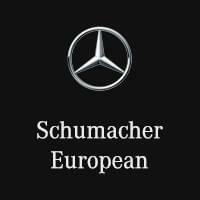 When your vehicle is in need of assistance, make your way from Mesa to Schumacher European, and be sure to contact us if you have any questions in the meantime.